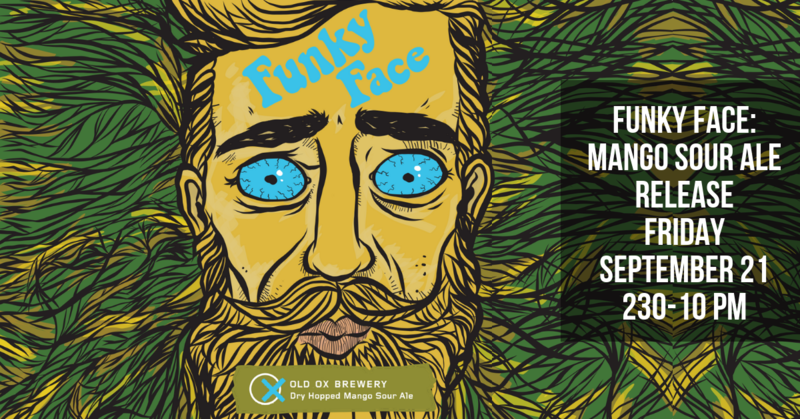 Funky Face: a collection of specialty beers that explore the tart and sour side of craft beer. This American sour ale is infused with sweet mango and dry hopped with tropical Galaxy hops. A perfect way to tango with mango! Come out on Friday, September 21 from 2:30-10 PM and try out this beer on tap or take it home in 16 oz. four-packs. The Vandelays go on at 6:30 and Phat Yummies Quesadilla Cantina On Wheels will be here for the night!